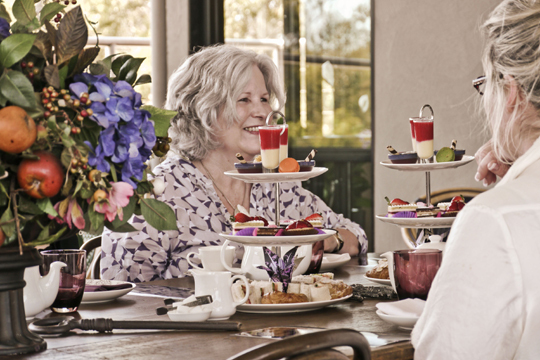 The Brisbane tea drinker will be delighted by French & Mor’s high tea with a modern twist. 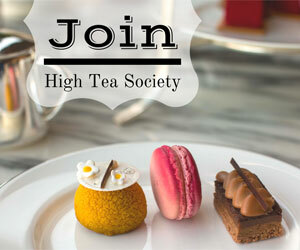 High Tea Society had the pleasure of experiencing an affordable high tea which certainly satisfied one sweet tooth. Located in the suburban surrounds of Albany Creek, guests will travel in anticipation to a homely venue with just the right amount of Queensland hospitality. 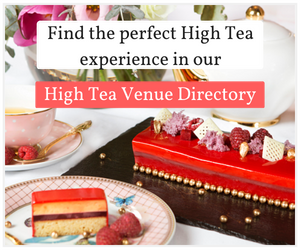 For inner city residents don’t let the location hinder you, this boutique high tea is worth the adventure. French & Mor serves a modern take on its three-tiered cake stand, featuring freshly made French pastries, tea sandwiches, high quality gateaux and more. 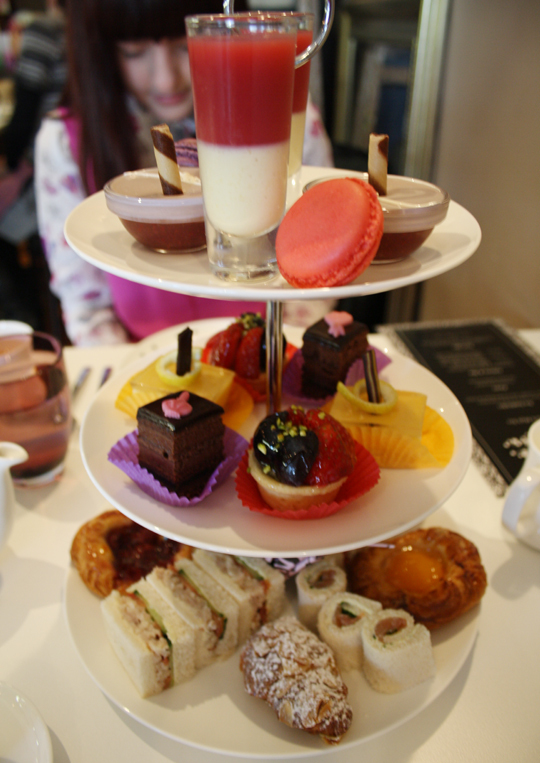 French & Mor’ high tea is definitely made for the sweeter palate. This French high tea would be preferable as an afternoon serving with guaranteed sweets that will ensure sweet satisfaction. Tea goers can expect to be treated with two petite sized macarons, the famous almond croissant and my personal favourite the fruit blast. Presented in an elegant shot glass containing mango and passionfruit puree topped with a fresh berry juice, this deliciously smooth puree was a refreshing blast to the taste buds. French & Mor offers a wide selection of T2 teas with a selection of twenty tea blends. 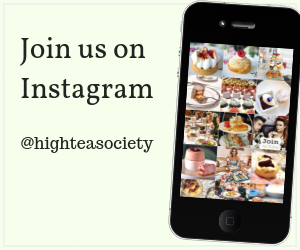 Whether you are a tea connoisseur or more of a coffee enthusiast, there is a wide variety, which affords the luxury of choosing between favourite tea blends or a barista made coffee. We had endless refills of our teapots so it was worth the money in my opinion. With so many blends to choose from, the French Earl Grey is a house favourite and definitely my personal choice for high tea. The classic earl grey combines a wonderful blend of flowery floral petals and slivers of fruit that play with classic bergamot in an inspiring, bold and refined infusion. 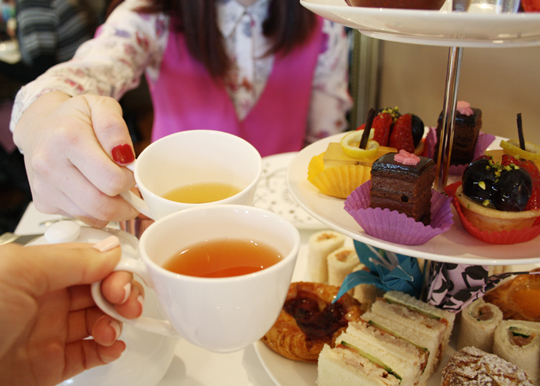 The French Earl Grey was a complimenting blend to this modern high tea. For green tea lovers don’t worry you won’t be forgotten, the Gorgeous Geisha was my second teapot choice. The smooth sweet and delicious green tea combines green tea with strawberries drizzled in cream. Green tea drinkers who are familiar with the grassy aroma of sencha, will enjoy and be intrigued by this fruit blended green tea. The tea was served in a white fine bone china teapot. The quality of food included hand picked french pastry fillings from a local baker who supplies French bakery breads. As French & Mor specializes in French baked goods. All the desserts were hand crafted and tasted fresh. I thought the food quality was quite high. French & Mor’s atmosphere had a very French country style living feel to the cafe. The atmosphere was very relaxed and welcoming, guests felt at home and at ease. Whether you will be inspired to dress Parisian or enjoy a comfortable weekend in your Sunday best. 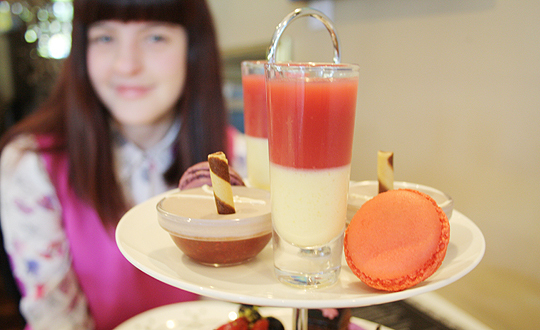 French & Mor high tea caters towards a smart casual dress code. For a morning or afternoon session bookings are require in advance. For $38 per person French & Mor’ offers a high quality high tea, with plenty of reason to return when leftovers can be taken home in the most adorable take home boxes.